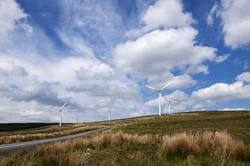 For the first time, the clear benefits of wind energy to Northern Ireland consumers have been calculated in detail. The report demonstrates how wind pushes down the wholesale cost of electricity, reduces fuel imports and helps to avoid compliance fines. These benefits more than offset the costs of wind, which includes support costs, network upgrades and grid constraint costs. Rachel Anderson, RES Head of External Affairs and NIRIG Chair, said: "This report confirms what the wind industry knows from our work on the ground. We understand the value that wind brings to communities and consumers. When you translate this to pounds and pence, it means that using wind energy has saved £4 per person every year in Northern Ireland over the last 20 years. "We are delighted to see confirmation of the benefits of wind energy for consumers. Our long term commitment to reducing Northern Ireland’s reliance on fossil fuel generation has delivered improvements in our electricity system, reduces dangerous emissions and has actually paid back to people’s pockets." The low-carbon sector is now an increasingly important part of our economy and delivers real value across all parts of Northern Ireland. The UK has set a long-term target of decarbonisation and has successfully grown the low-carbon economy while reducing greenhouse gas emissions. The cost of renewables has tumbled, and wind and solar electricity are now cheaper than any other sources of new generation. Northern Ireland could reach 70% renewable electricity by 2030 with no additional cost to the consumer according to NIRIG analysis carried out this year.